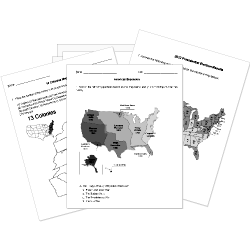 You can create printable tests and worksheets from these None Civil War questions! Select one or more questions using the checkboxes above each question. Then click the add selected questions to a test button before moving to another page. Identify 3 causes of the Civil War. Why did most Southerners not want Abraham Lincoln to be elected President?